Ten years ago, Prem Shah's life got turned upside down. He had just eaten when a seemingly unquenchable thirst took hold of his body. Prem sweated and had a fever, his tongue stuck to the roof of his mouth, he trembled. He took voraciously big gulps and drank one liter of water after the other, even at night. "I could drink as much as I wanted," says Prem Shah, "but nothing helped." "You have diabetes," his doctor told him after a blood test the next day. Pram was 38 at the time and could neither read nor write. The son of farmers, he often fell asleep with an empty stomach as a child and woke up dreaming of samosas. At 14, he moved alone to the capital city of New Delhi, around 1,000 kilometers (620 miles) away, in his search for food and work. He had never even heard of diabetes. Further examinations and treatment in the hospital would have cost 15,000 rupees (about 185 euros). Prem, his wife Geeta and their four children didn't have that much money to spare. They are members of the lowest-ranking of the four main Indian castes and live in a doorless stone hut in a slum in the Baljit Nagar neighborhood. Even a single day in a public hospital, which is almost free for patients, was too expensive for the family. If Prem doesn't work during the day, the family doesn't have anything to eat at night. Soon, the disease began affecting him badly. Prem is one of an estimated 70 to 80 million people in India who suffer from diabetes. A large portion of those with the illness have type 2 diabetes, which is often linked to obesity. Although the metabolic disorder almost exclusively affected the upper class for a long time, it has recently become an epidemic in almost every social strata. Higher earners develop the disorder more often overall, but in some cities today, almost twice as many impoverished people have diabetes than rich people. In recent years, India has very quickly gone from being a developing nation to the world's seventh-largest economic power. Some 1.32 billion people live in the country, about one-sixth of the global population. The disparities in the country are severe. Although India is home to 131 billionaires, about 20 percent of the population gets by on about 1.50 euros per day and are classified as extremely poor. One in seven Indians is undernourished, as are 40 percent of all children under the age of 5, who often suffer from stunted growth as a result. At the same time, almost every fourth Indian is overweight. Traditionally, Indians mostly ate vegetables, legumes and grains. Meat is rarely part of the diet. For many people living in emerging economies, eating at McDonald's or Pizza Hut is a status symbol indicative of prosperity. The new wealth is also drawing people from the countryside into the cities, where physical labor is less necessary. It's this new sedentary lifestyle that is making people ill.
That proved to be the case with Prem Shah, too. As a child, he could never be sure when he would get his next meal, so as an adult in New Delhi, he overcompensated by eating whenever he could. 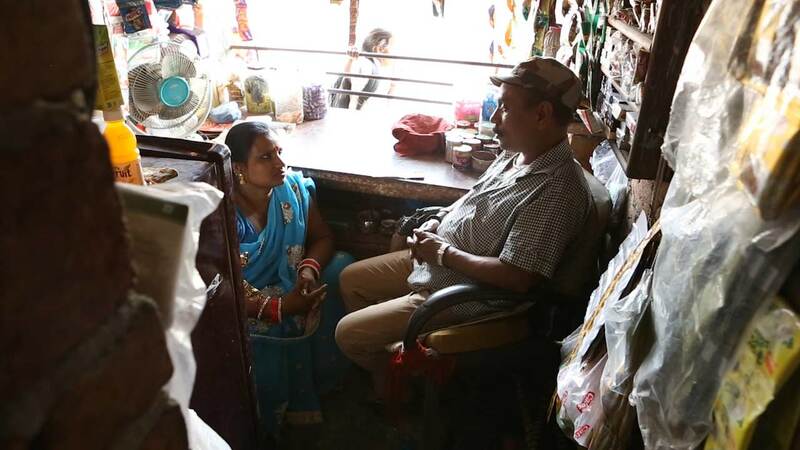 He barely had to move at his job at a plastic factory, and at home his wife Geeta used lots of wheat in her cooking, which is subsidized by the government and still distributed to the poor. "Prem had an insatiable appetite," his wife recalls. 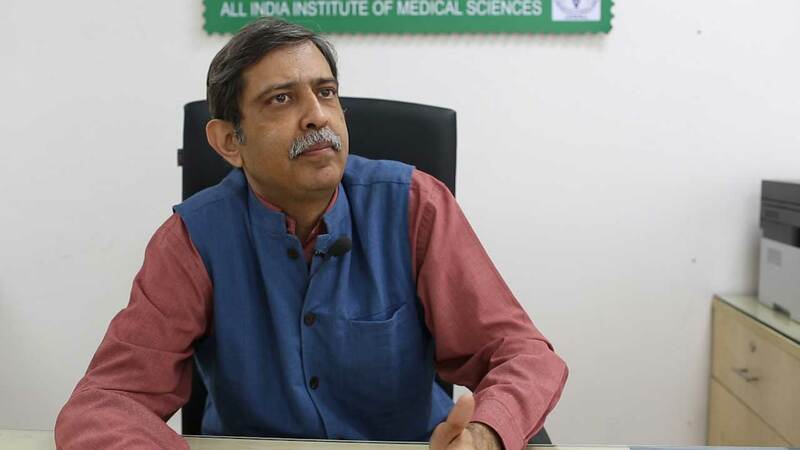 "In India, we have a problem in that we traditionally already eat a lot of carbohydrates," says diabetes expert Nikhil Tandon, the head of the endocrinology and metabolic diseases department at the renowned All India Institute of Medical Sciences. And there are also further risk factors. Fast food has also become a regular part of daily life for Prem's growing children. He now runs a tiny store in the window connecting the two-room hut to the street. He sells colorful bags of chips, Coke and Pepsi, along with tobacco, although he says he will no longer touch these products himself. "I'm afraid sugar will make me sick again," says Prem, who now regularly takes the anti-diabetes drug Metformin. His children eat potato chips and drink soda every day. Prem's store is popular -- the products he sells are considered cool and they are sought-after and cheap. A small bag of chips costs the equivalent of 20 cents. For food companies, a massive market has opened up in India. Packaged dried soups are especially popular. Supermarket shelves are overflowing with colorful packaging and loud advertising promises to consumers like ""2-Minute Noodles""  Mom, cooking can be so simple! or ""Yippee! Noodles  What an adventure this will be, kids! Laughing comic figures wave at the children from the packages and photos of noodles with vegetables make it seem as though they contain healthy ingredients. Buy two, get one free  the Western consumer mentality has long since arrived in India. Packaged soups: bursting with color and ready to eat in two minutes. Nestlé, the world's largest food company, with headquarters in idyllic Vevey on Lake Geneva, had 12 billion Swiss francs in revenues in 2017 from prepared foods and products alone, which is about 10.8 billion euros. Its Maggi brand is one of the best-sellers. In India, the company sold 1.3 billion euros worth of goods ranging from bottled water to chocolate, 10 percent more than the previous year. Going by company reports, which emphasize ""social responsibility,"" profit optimization isn't the exclusive goal. In 2015, Nestlé boasted that it had fortified 192 billion servings of its products with micronutrients. The company added iron, vitamin A and iodine to its Maggi's ""masala-ae-magic"" spice mix. The fact is that millions of Indians still suffer from deficiency symptoms because they don't get enough of these nutrients. But they mostly live in rural areas, are poor and still undernourished. As such, they are not the typical customers of supermarkets, who generally do not need the additives, but still find themselves paying for them nonetheless. The change in habits in India is still relatively recent. In 2003, Düsseldorf-based retailer Metro opened five stores in India, with Walmart from the U.S. following in 2009 and France's Carrefour one year later. For several years, wholesalers were only allowed to sell to other businesses, not to consumers. In 2011, however, the government announced that foreign investors could also take stakes of up to 51 percent in supermarkets, to the corporations' delight. The Indian government has been under pressure from opposing interests ever since making the decision. The European Union, India's biggest trading partner, wants to have a foot in the growing market, but its opponents are concerned about national markets. Smallholder family farmers, day laborers and merchants have taken to the streets repeatedly out of concern that the changing modes of consumption are taking away their work. 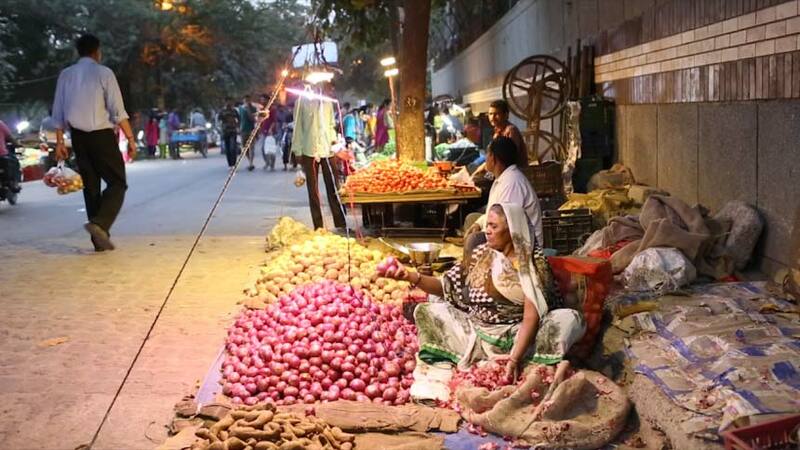 Dharmendra Kumar, the head of the nongovernmental organization Janpahal, is convinced that street vendors' livelihoods are at risk. "If we don't pay attention, the supermarkets will soon replace the street vendors who offer healthy food outside our front doors," she says. Dezy cooks because she needs money. "For me, education is the most important thing for my children," says the mother of five, whose oldest daughter is currently learning accounting at a private school. Her husband is, like her, an unlicensed street vendor. The family isn't officially registered at their apartment either. "That's typical," Kumar says. "When the people move to the city, they most often live illegally and are therefore exposed to the whims of the state, the police, the community or the renter." In 2014, the so-called Street Vendors Act was passed, a law aimed at strengthening the rights and responsibilities of street vendors. But implementation of the law has been lacking. The street vendors could, however, play an important role in solving the country's nutritional woes, because they offer affordable alternatives to cheap fast food in the cities. It's not a given that impoverished people must eat poorly. 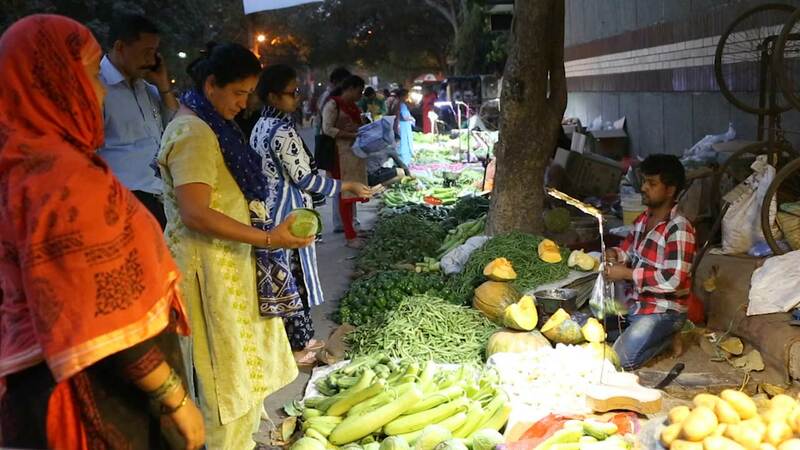 It's possible that the growing ranks of the underclass who are overweight and diabetic could find their way back to the natural foods that belong to typical Indian diets. At the other end of the social strata, the educated and wealthy, the engineers, doctors and businesspeople, renewed interest in India's traditional dishes is developing. While many members of the working and middle-classes still covet the processed foods from the West, like white rice, pizza and french fries, some members of the elite long ago realized how damaging this new lifestyle can be. No fast food, including sweets and snacks, is allowed past the gates of the private Pragyan School in the satellite city of Greater Noida outside of New Delhi. For the rural population, exercising after 10 hours of labor on the farm is as unthinkable as it is unnecessary. But it is necessary for those who sit in front of a green grocer's stand for hours or stare at a monitor all day, no matter how rich or poor they are. Fitness equipment has been installed at a public square in New Delhi allowing local residents to exercise together. Prem Shah, the diabetic from Baljit Nagar, has grasped this. At the worst point of his illness, the family realized he wouldn't survive if he didn't go to the hospital. Although they were already in debt because Prem could no longer work, the family borrowed several thousand rupees from relatives and friends. At the hospital, he then received life-saving medicine and was nursed back to health. Since then, he has been walking for up to five hours a day as part of his work repairing ovens in the area. The movement compensates for the hours he spends sitting in his store in the mornings and evenings. And as long as he takes his medication regularly, he does fine. He doesn't know whether the diabetes has left traces in his body or if he his retina, kidneys or nerves are damaged. Prem can't afford those medical tests. At the moment, he's actually more concerned about his wife than himself. "She's often thirsty and gets dizzy," Prem says. "I don't want the same thing to happen to her." But Geeta, with her round stomach and sturdy arms, laughs. "It's only half that bad. I can barely feel it." Fifty percent of diabetics in India don't even know they have the disorder. In 2016, the Indian Health Ministry decided that, in the future, everyone above the age of 30 should have access to free testing for disease.